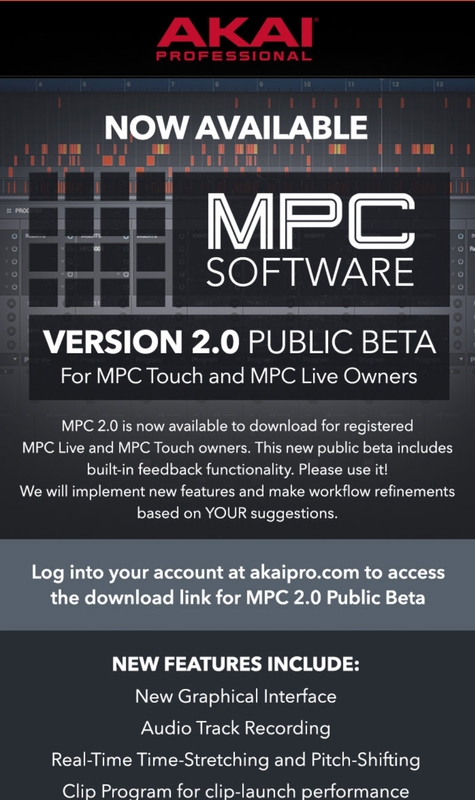 The Akai MPC 2.0 Software is now availae for MPC Touch and Live owners. I was a bit disappointed to find out that the MPC Studio (Black) wasn’t included as advertised prior this update. However, their will be an update of the 2.0 in the near future for MPC Ren and Studio owners. Until then, let’s keep working with what we have, for now.